Even high-end perfumes are made with cocktails of dangerous and untested chemicals that may produce problems from allergies to hormone disruption, a study by the Environmental Working Group and the Campaign for Safe Cosmetics has found.The Federal Fair Packaging and Labeling Act of 1973 explicitly exempts manufacturers of cosmetics and personal care products from having to disclose any of the ingredients used to give fragrance to their products, as long as “fragrance” is listed in on the label. This lack disclosure becomes particularly dangerous when combined with a large-scale lack of data on the safety of these compounds; neither the FDA nor any publicly accountable organization has ever tested the majority of fragrance compounds for safety as ingredients in personal care products. 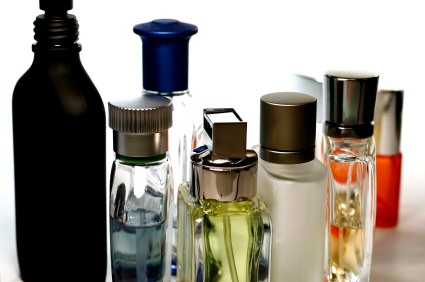 Even more seriously, researchers uncovered 10 chemicals known to disrupt the hormonal (endocrine) system, with each perfume containing an average of four. The perfumes Halle by Halle Berry, Quicksilver and Jennifer Lopez J. Lo Glow all contained seven different endocrine disruptors — six estrogen mimics and a thyroid disruptor. ← Vegans & Vegaterians Know where to find your nutrients!